My name is Matija Grguric. I am an architecture student from Zagreb, Croatia. I got my first LEGO set when I was 4 years old. It is my favourite toy since then. I left LEGO for a couple of years when I was growing up, and then started collecting it again around 5 years ago when I discovered a large AFOL community (adult fan of LEGO) on the internet. I am 28 years old, and I own around 300 000 bricks. I am member and one of the founders of Croatian LEGO Club Kockice. I also have a Flickr account. I am this cycle LEGO ambassador representing the fan community in Croatia. If you want to help me buy more bricks and make better creations with those, check out my Bricklink store. 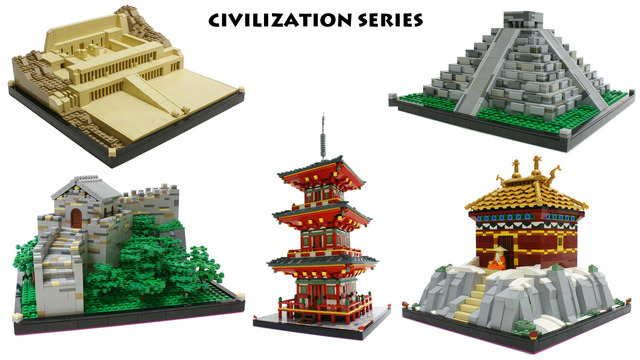 Please support my Civilization creations on LEGO CUUSOO Counter added on 28th Septemper 2009. Matija Grguric is one of Adam Bell's favorite builders! Matija Grguric is one of Amanda Lee's favorite builders! Matija Grguric is one of Ian Plant's favorite builders! Matija Grguric is one of turkey tu's favorite builders! Matija Grguric is one of PEACE LOVER's favorite builders! Matija Grguric is one of Scott Bukovac's favorite builders! Matija Grguric is one of Korben Lawrence's favorite builders!